En studie fra 1991 som beskriver hvordan hyperventillering og lav CO2 (hypokapni) påvirker perifere nervetråder og deres eksitabilitet. Sier at det er et lineært forhold mellom CO2 nedgang og perifere nervetråders eksitabilitet. Altså jo mindre CO2 som er tilstedet i blodet og vevet, jo lettere er det å oppleve smerter og muskelspenninger. Macefield and Burke 1991. Paraesthesiae and tetany induced by voluntary hyperventilation. Increased excitability of human cutaneous and motor axons. To define the nature of the disturbance created in peripheral nerve, the excitability of cutaneous and motor axons was monitored in 6 normal subjects requested to hyperventilate until paraesthesiae developed in the hands, face and trunk. This occurred when alveolar PCO2 (PACO2) had declined on average by 20 mmHg. As PACO2 declined, the size of the compound sensory and muscle potentials evoked by a constant stimulus progressively increased, indicating an increase in axonal excitability. These changes occurred before paraesthesiae or tetany developed. In each subject there was a statistically significant inverse correlation between PACO2 and axonal excitability. It is concluded that the paraesthesiae and tetany induced by hyperventilation result solely from changes in the excitability of cutaneous and motor axons in the peripheral nerve, presumably due to an alteration in the electrical properties of the axonal membrane resulting from a reduced plasma [Ca2+]. Fra 1994, forskeren Max Zusman. Nevner veldig mange interessante perspektiver på hvordan mekanisk stimuli (percussor, DNM, SI, osv) demper smerte. Some degree of local inhibition with mechanical stimuli delivered directly to a pathological site may be mainly a consequence of supplementary input in large diameter cutaneous afferents. Unlike those afferents supplying deep tissue such as joint, muscle etc., small diameter cutaneous afferents appear to be largely impervious to mechanical sensitisation by chemical mediators of the inflammatory response (Handwerker and Reeh 1991). Spontaneously occurring clinically relevant symptoms and signs are ultimately a product of both peripheral and central nervous system mechanisms. As such, they are complexly derived and displayed. Their true origin and significance are sometimes obscure and liable to misinterpretation. Rather than being invariably diagnostically definitive, provocative mechanical manoeuvres can compound these uncertainties. The provocative mechanical manoeuvres used by therapists are, neurologically speaking, relatively crude. They do not have the necessary specificity to always distinguish between pathologically and non pathologically involved tissues and sites, Since their specific systemic effects have not been investigated, the responses produced with such stimuli are subject to variously influenced and informed interpretation. The reasons for symptomatic relief produced asa result of these mechanical manoeuvres are not known for certain. Neurologically, this appears to involve inhibitions in the central nervous system. Input conveyed centrally by different classes of primary afferents stimulated at a variety of sites has the potential to produce therapeutically effective inhibitions. Mechanical provocation can confirm the presence of clinically relevant sensory and motor responses. However, understanding what these responses might actually mean in terms of their source and cause would frequently require additional input from the basic sciences. Nevner det aller meste om perifere nerver og hvordan de får plager av «normale» sitasjoner, som f.eks. musearm. The structural organization of peripheral nerves enables them to function while tolerating and adapting to stresses placed upon them by postures and movements of the trunk, head, and limbs. They are exposed to combinations of tensile, shear, and compressive stresses that result in nerve excursion, strain, and transverse contraction. The purpose of this appraisal is to review the structural and biomechanical modifications seen in peripheral nerves exposed to various levels of physical stress. We have followed the primary tenet of the Physical Stress Theory presented by Mueller and Maluf (2002), specifically, that the level of physical stress placed upon biological tissue determines the adaptive response of the tissue. A thorough understanding of the biomechanical properties of normal and injured nerves and the stresses placed upon them in daily activities will help guide physical therapists in making diagnoses and decisions regarding interventions. Structural components of peripheral nerves. In the endoneurial compartment (En), a single Schwann cell envelops several unmyelinated axons, and another Schwann cell provides multiple wrappings of plasma membrane forming the myelin sheath of a myelinated axon. The portion of a myelinated axon myelinated by a single Schwann cell is called the internode, and internodes are separated by nodes of Ranvier. Schwann cells associated with both unmyelinated and myelinated axons are covered with a continuous basal lamina (BL). Capillaries (Cap) are present within the endoneurial compartment, and collagen fibers (Col) run primarily longitudinally between the axons. The axons, Schwann cells, collagen, and endoneurial fluid are bundled into a fascicle by the perineurium (Pe). The perineurium consists of several layers of flattened perineurial cells connected by tight junctions and covered internally and externally by a basal lamina. The layers of perineurial cells are separated by collagen fibers (Col) oriented obliquely. Several fascicles are bundled together by the epineurium (Ep) to form a nerve. The epineurium consists primarily of fibroblasts, collagen fibers (Col), and elastic fibers. The epineurium between fascicles is termed the interfascicular epineurium, and that encompassing all of the fascicles is termed the epifascicular epineurium. Arterioles (A) and veins are oriented primarily longitudinally within the epineurium. Under normal physiological conditions imposed by posture and movement, nerves are exposed to various mechanical stresses. Stress is defined as force divided by the area over which it acts9,23–25 and can be applied to a nerve as tensile, compressive, or shear stress or as a combination of stresses (Fig. 4). Tensile stress may be applied to tissues either parallel or perpendicular to the length of the nerve, causing respective longitudinal or transverse stress in the nerve. When joint motion causes elongation of the nerve bed, the nerve is inherently placed under tensile stress and accommodates the stress by both elongating and gliding.15 The deformation or change in nerve length induced by longitudinal tensile stress is called strain and is expressed typically as percent elongation.23,26–28 Displacement or gliding of a nerve relative to the surrounding nerve bed is called excursion.29–31 The direction of excursion may be longitudinal or transverse, or both, relative to the nerve tract31,32 and is measured in millimeters. Physical stresses placed on peripheral nerve. Tensile stress applied longitudinally to peripheral nerve creates an elongation of the nerve (an increase in strain). The transverse contraction that occurs during this elongation is greatest at the middle of the section undergoing tensile stress. When the nerve bed is elongated, the nerve is placed under increased tensile stress. With the elongation of the nerve bed, the nerve glides toward the moving joint,1,33,34 a movement termed convergence.1 Conversely, if the nerve bed tension is relieved during joint motion, the nerve will realign along the shortened nerve bed by gliding away from the moving joint, a movement termed divergence.33 Convergence in the median nerve may be demonstrated during elbow extension (Fig. 5). The motion elongates the bed of the median nerve, causing the nerve segment in the arm to glide distally toward the elbow and the nerve segment in the forearm to glide proxi mally toward the elbow. In contrast, elbow extension relieves the tensile stresses in the ulnar nerve bed, causing the ulnar nerve to diverge away from the elbow (Fig. 5). First, a recent study43 measured greater nerve compliance in nerve segments that cross joints than in segments that do not cross joints. Third, nerve stiffness is greater when a nerve is elongated rapidly rather than slowly. In addition, the ultimate strain at the point of failure appears to be dependent on the rate of elongation. Stress-relaxation curve demonstrating viscoelastic properties of peripheral nerve. When a nerve is elongated and the new length is kept constant, there is a rapid reduction in the stress within the nerve, expressed as percent reduced relaxation. Most of the relaxation occurs in the first 20 minutes. The degree of elongation affects the amount of stress relaxation that will occur. The dotted line represents a nerve that has been elongated to 6% above its resting length. The solid line represents nerves that have been elongated to 9% and 12% above their resting lengths. Greater stress relaxation was documented in nerves that underwent less elongation.25,44 Modified from Kwan MK, Wall EJ, Massie J, Garfin SR. Strain, stress, and stretch of peripheral nerve: rabbit experiments in vitro and in vivo. Acta Orthop Scand. 1992;63:267–272, with permission of Taylor and Francis AS. However, a nerve stretched repetitively to 8% or 10% strain exhibits a reduced slope of the stress-strain curve, indicating that that nerve undergoes less stress with successive elongations because of increased compliance and decreased stiffness. At the edges of the cuff, however, myelin retraction with resultant widening of nodes and paranodal demyelination occurred. These structural alterations in myelin may be expected to result minimally in impaired impulse conduction or maximally in demyelination and a conduction block. First, levels of physical stress lower than the levels required for tissue maintenance (low stress) result in a reduced ability of the tissue to tolerate subsequent stress and are consistent with tissue plasticity and response to functional demand. Second, levels of physical stress in the range required for tissue maintenance (normal stress) result in no tissue adaptations and are considered to maintain a state of equilibrium. Third, physical stress levels that exceed the range required for tissue maintenance (high stress) result in an increase in the tolerance of the tissue for stress in an effort to meet the mechanical demand. Fourth, physical stress levels that exceed the capacity of some components of the tissue (excessive stress) result in tissue injury. Fifth, levels of physical stress that are extreme (extreme stress) result in tissue death. Finally, it is important to note that the physical stress level is a composite value with variable components of magnitude, time, and direction or type of stress. In the functional zone, the physical stresses on the nerve are sufficient to maintain a state of equilibrium and normal physiological function. In the dysfunctional zone, various levels of physical stress have altered the ability of the nerve to tolerate subsequent stress. Continuum of physical stress states. The white area represents the functional zone in which the physical stresses on the nerve are sufficient to maintain a state of equilibrium and normal physiological function. The shaded areas represent dysfunctional zones resulting from various levels of physical stress placed on the nerve tissue. Under conditions of prolonged low stress, the functional zone will shrink in width and shift to the left, reducing the ability of the tissue to tolerate subsequent stresses even of previously normal levels. Under conditions of high stress, the functional zone may expand and shift to the right, improving the ability of the tissue to tolerate subsequent physical stress. If the nerve is exposed to prolonged or repeated excessive stress, the functional zone will shrink in width. Although scarring of damaged tissue may enable the nerve to tolerate subsequent physical stresses, the physiological function of the nerve will be reduced. Exposure to extreme stress will result in disruption of axon continuity or neural cell death and significantly reduced physiological function. Under conditions of immobilization, such as casting, splinting, and bracing, peripheral nerves are exposed to levels of physical stress that are lower than those necessary to maintain the nerves in a state of equilibrium or in a functional zone (Fig. 9). 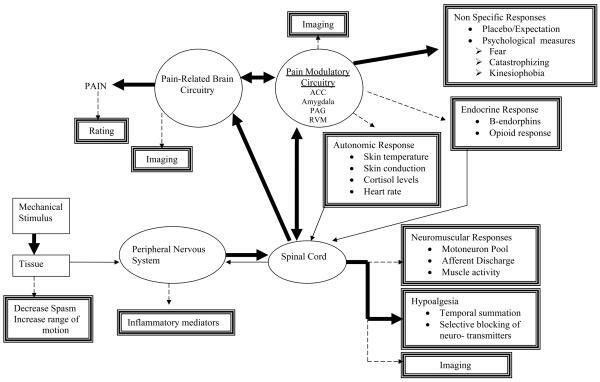 According to the Physical Stress Theory, nerve will undergo predictable physiological and structural modifications proportional to the levels of reduced stress and the duration of immobilization.2 Immobilization induces cell biological changes in axons and axon terminals52–54 and structural changes in myelin and nerve connective tissue layers that likely alter the ability of nerves to tolerate subsequent physical stress. We hypothesize that after a period of immobilization, the width of the functional zone on the continuum of physical stress states will shrink and shift toward the left (Fig. 9). Nerves are exposed to various levels of longitudinal tensile stress during limb-lengthening procedures, such as distraction osteogenesis (Ilizarov procedures), traction injuries, and stretching maneuvers. The tissue response is dependent upon the magnitude and duration of the tensile stress. The extant data indicate that lengthening of 6% to 8% for a short duration causes transient physiological changes that appear to be within the normal stress tolerance of the tissue, whereas acute strains of 11% and greater cause long-term damage and may be considered to be excessive or extreme stress states. In cadavers, positioning in shoulder depression, 90 degrees of shoulder abduction, 90 degrees of shoulder external rotation, 70 degrees of forearm supination, 60 degrees of wrist extension, full finger extension, and full elbow extension resulted in 7.6%±8.2% (X̄±SD) strain in the median nerve measured just proximal to the wrist.28 Adults who were healthy and who were placed in this same position lacked 12±13 degrees (X̄±SD) of elbow extension because of substantial discomfort in the limb.61 The subjects reported pain of 5.1±1.9 (X̄±SD) on a 10-point visual analog scale, and 36% of the subjects reported paresthesia in the upper limb. Taken together, these findings suggest that many people are unable to tolerate levels of strain below the theoretical 11% threshold. Compression on a nerve may be the result of extraneural force or may occur as transverse contraction secondary to increased longitudinal strain (Fig. 4). Compression stress of a low magnitude and a short duration may result in reversible physiological and minor structural changes. Compressive stress of a high magnitude, however, may result in structural alterations in myelin sheaths and even disruption of axons. Low-magnitude compressive stress applied over a long period of time may cause significant structural changes in the nerve secondary to impairment of blood flow and sequelae of ischemia. As with strain-induced injury, a threshold for compression-induced nerve injury is difficult to determine. Common functional positions may result in compression pressures that approach or exceed the 20 to 30 mm Hg demonstrated to impair nerve blood flow.75 The carpal tunnel is a site well known for compressive damage to the median nerve and thus has been well studied. Carpal tunnel pressure in subjects who were healthy was measured at 3 to 5 mm Hg with the wrist in a neutral position.76–78 Simply placing the hand on a computer mouse was shown to increase the tunnel pressure from the resting 5 mm Hg to 16 to 21 mm Hg,79 and actively using the mouse to point and click increased the tunnel pressure to 28 to 33 mm Hg, a pressure high enough to reduce nerve blood flow. In subjects with carpal tunnel syndrome, pressure in the carpal tunnel was 32 mm Hg with the wrist in a neutral position and rose to a mean of 110 mm Hg with full wrist extension in subjects with carpal tunnel syndrome.76 These tunnel pressures exceed the threshold of 20 to 30 mm Hg for vascular perfusion even at rest. Taken together, these findings suggest that even functional positions, such as the use of a computer keyboard and mouse, place the wrist in a position of increased carpal tunnel pressure, compromising nerve blood flow and placing people at risk for median nerve injury. The pathological consequences of prolonged compression include subperineurial edema; inflammation; deposition of fibrin; activation of endoneurial fibroblasts, mast cells, and macrophages; demyelination; axon degeneration; and fibrosis.83 Compression of a very long duration has been modeled in animals with loose ligatures,88 Silastic* tubes,89,90and pressure balloons placed within an anatomical tunnel.91 The pathological findings are thought to result from both inflammatory and cellular phenomena and include changes in the blood-nerve barrier, thickening of the perineurium and epineurium, thinning of myelin, demyelination and degeneration of axons in the fascicle periphery, and slowed nerve conduction velocity. In the case of chronic compression, decompression is paramount. Physical therapy intervention should focus on reduction of inflammation, improvement in blood flow, and enhancement of the capacity of the nerve for strain and excursion along its full length in an effort to reduce the physical stress on the compressed region. This assessment should guide treatment interventions to normalize the stresses on the nerves, be they rest, soft tissue or neurodynamic mobilization, stretching, modalities, exercise, or patient education. Treatment rationale should be based on an educated understanding of the biomechanical properties of normal and pathological nerves. The concept of a continuum of low-normal-high-excessive-extreme stresses may be used as a training tool for patient education, pointing out examples of daily activities that fall under the different categories. Denne beskriver endocannabinoider(eCB) og hvordan man kan øke produksjonen av dem og reseptorene for dem. eCB er et kroppens viktigste naturlige smertstillende stoffer som kan produseres og påvirker alle nerver i kroppen. Spesielt viktig i hjernen, men også i det perifere nervesystem. Massasje, kiropraktikk og hard trening (f.eks. runners high) utløser eCB i kroppen. Det gjør også omegabalanse (mer n-3), probiotica, NSAIDs, m.m. Også yoga, meditasjon, pust og andre stressreduserende påvirker eCB. Og trening, men kun om man gjør det jevnlig over tid. Den nevner at langvarig stress reduserer eCB i kroppen siden det er koblet til kortisol. Men den nevner også at noen tilstander kan ha forhøyet eCB i kroppen, f.eks. overvekt. Med høyt nivå av n-6 relativt til n-3 blir det en overvekt av AA (arakidonsyre) som produserer en overvekt av eCB, som dermed fører til en reduksjon av eCB reseptorer. Dette gjør at smertestillende medikamenter fungerer dårligere, og at det blir lettere kronisk smerte. Tilskudd av n-3 gjør at eCB reseptorene øker. Studiene er gjort på mus og innebærer 17 g/kg. The eCB system’s salient homeostatic roles have been summarized as, “relax, eat, sleep, forget, and protect” . It modulates embryological development, neural plasticity, neuroprotection, immunity and inflammation, apoptosis and carcinogenesis, pain and emotional memory, and most importantly from the viewpoint of recent drug development: hunger, feeding, and metabolism. Obese individuals seem to display an increased eCB tone, driving CB1activation in a chronic, feed-forward dysfunction (reviewed by ). Other diseases are associated with suboptimal functioning of the eCB system. Russo proposed that migraine, fibromyalgia, irritable bowel syndrome, and related conditions represent CEDS, “clinical endocannabinoid deficiency syndromes.” Fride  speculated that a dysfunctional eCB system in infants contributes to “failure to thrive” syndrome. Hill and Gorzalka  hypothesized that deficient eCB signaling could be involved in the pathogenesis of depressive illnesses. In human studies, eCB system deficiencies have been implicated in uncompensated schizophrenia , migraine , multiple sclerosis , Huntington’s ,, uncompensated Parkinson’s , irritable bowel syndrome , uncompensated anorexia, and chronic motion sickness . NSAIDs inhibit two cyclooxygenase (COX) enzymes, COX1 and COX2, and thereby block the conversion of arachidonic acid (AA) into inflammatory prostaglandins. Ibuprofen, ketorolac, and flurbiprofen also block the hydrolysis of AEA into arachidonic acid and ethanolamine . SeeFigure 2. A binding site for some NSAIDs on FAAH has also been identified . NSAID inhibition of COX2 blocks the metabolism of AEA and 2-AG into prostaglandin ethanolamides (PG-EAs) and prostaglandin glycerol esters (PG-GEs), respectively . Combining NSAIDs with cannabinoids (either eCBs or exogenous cannabinoids) produces additive or synergistic effects. A sub-effective dose of WIN55,212-2 became fully antinociceptive following administration of indomethacin in rats . In summary, preclinical studies indicate that some NSAIDs inhibit FAAH and enhance the activity of eCBs, phytocannabinoids, and synthetic cannabinoids. Combinational effects may be particularly relevant at peripheral sites, such as the peripheral terminals of nociceptors. The distribution of glucocorticoid receptors (GRs) and CB1 overlap substantially in the central nervous system and other tissues, as do GRs and CB2 in immune cells. Dual activation of GRs and CBs may participate in glucocorticoid-mediated anti-inflammatory activity, immune suppression, insulin resistance, and acute psychoactive effects. The acute administration of glucocorticoids may shift AA metabolism toward eCB synthesis in parts of the brain. Chronic exposure to glucocorticoids downregulates the eCB system. Chronic corticosterone administration decreased CB1 densities in rat hippocampus  and mouse hippocampus and amygdala . Chronic corticosterone administration in male rats led to visceral hyperalgesia in response to colorectal distension, accompanied by increased AEA, decreased CB1 expression, and increased TRPV1 expression in dorsal root ganglia. Co-treatment with the corticoid receptor antagonist RU-486 prevented these changes . Polyunsaturated fatty acids (PUFAs) play fundamental roles in many cellular and multicellular processes, including inflammation, immunity, and neurotransmission. They must be obtained through diet, and a proper balance between omega-6 (ω-6) PUFAs and ω-3 PUFAs is essential. The typical Western diet contains a surfeit of ω-6s and a deficiency of ω-3s . The inflammatory metabolites of AA are countered by dietary ω-3s. The two best-known ω-3s are eicosapentaenoic acid (EPA, 20:5ω-3) and docosahexaenoic acid (DHA, 22:6ω-3). eCBs are derived from AA (see Figure 2). Several preclinical studies showed that dietary supplementation with AA increased serum levels of AEA and 2-AG, summarized in Table 1. Although we clearly need AA to biosynthesize eCBs, excessive levels of AA, administered chronically, may lead to excessive levels of eCBs. This in turn may lead to desensitized and downregulated CB1 and CB2 receptors. Dietary supplementation with ω-3s predictably increased the concentration of EPA and/or DHA in tissues, cells, and plasma, and decreased the relative concentration of AA in tissues, cells, and plasma , . 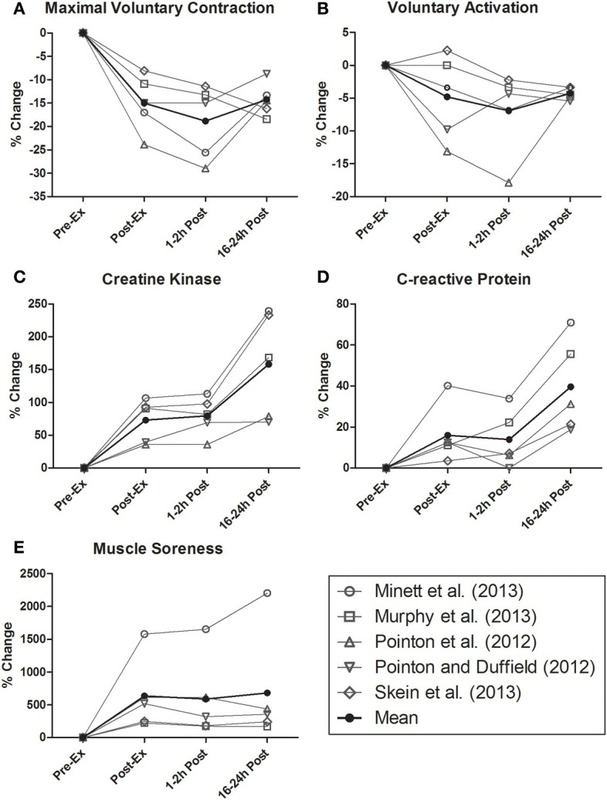 ω-3 supplementation also decreased AEA and 2-AG in tissues, cells, and plasma (Table 1). Adequate levels of dietary ω-3s are required for proper eCB signaling. Mice supplemented with ω-3s, compared to mice on a control diet, expressed greater levels of CB1 and CB2 mRNA. n summary, dietary ω-3s seem to act as homeostatic regulators of the eCB system. In obese rodents fed a high-AA diet, ω-3s significantly decrease eCBs, especially 2-AG, particularly in tissues that become dysregulated, such as adipose and liver tissues. Plasma eCB levels are reduced by krill oil also in obese humans. Little change in eCB levels are seen in normo-weight individuals not fed a high ω-6 diet, and dietary ω-3s are required for proper eCB signaling. Human intestinal epithelial cells incubated with L. acidophilus produced more CB2 mRNA . Feeding L. acidophilus to mice and rats increased the expression of CB2 mRNA in colonic epithelial cells. Lastly, mice fed L. acidophilus showed less pain behavior following colonic distension with butyrate than control mice, an effect reversed by the CB2 antagonist AM630. Chronic or repeated stress results in a chronic elevation of endogenous corticosterone via the hypothalamic-pituitary-adrenocortical (HPA) axis. Chronic stress (repeated restraint) reduced AEA levels throughout the corticolimbic stress circuit in rodents , , . In summary, chronic stress impairs the eCB system, via decreased levels of AEA and 2-AG. Changes in CB1 expression are more labile. Stress management may reverse the effects of chronic stress on eCB signaling, although few studies exploring this possibility have been performed to date. Clinical anecdotes suggests that stress-reduction techniques, such as meditation, yoga, and deep breathing exercises impart mild cannabimimetic effects . Massage and osteopathic manipulation of asymptomatic participants increased serum AEA 168% over pretreatment levels; mean OEA levels decreased 27%, and no changes occurred in 2-AG. Participants receiving sham manipulation showed no changes . Upregulation of the eCB system in obese humans seems to be driven by excessive production of eCBs in several peripheral tissues such as visceral adipose tissue, liver, pancreas, and skeletal muscle. In summary, increased food intake, adiposity, and elevated levels of AEA and 2-AG apparently spiral in a feed-forward mechanism. Weight loss from caloric restriction breaks the cycle, possibly by reducing CB1 expression and reducing eCB levels. Although both types of exercise regimens increased eCB ligand concentrations, only long-term-forced exercise led to sustained elevations of eCBs, and predictable CB1 downregulation. In whole animals, however, caffeine’s effects are biphasic and vary by dosage and acute versus chronic administration. In humans, the acute administration of caffeine decreases headache pain, but exposure to chronic high doses, ≥300 mg/day, may exacerbate chronic pain . Denne sier mye om nervenes blodgjennomstrømmning. Spesielt interessant er avnittet om hvor lite trykk som skal til før blodgjennomstrømningen stopper. Om trykket opprettholdes i 8 timer vil det skje en skade i nerven. Så lite som 20 mm Hg er nok til at blodsirkluasjonen blir dårligere. Simply placing the hand on a computer mouse was shown to increase the tunnel pressure from the resting 5 mm Hg to 16 to 21 mm Hg,79 and actively using the mouse to point and click increased the tunnel pressure to 28 to 33 mm Hg, a pressure high enough to reduce nerve blood flow.